See JVM performance in real time both within individual service tiers and across entire distributed applications. AppOptics™ provides real-time visibility into any application by collecting both high-fidelity metrics and detailed transaction traces. 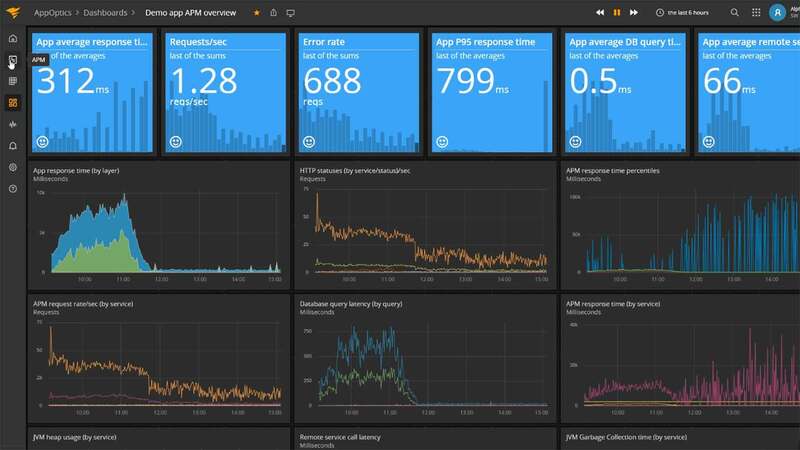 AppOptics removes the divide between application and infrastructure health metrics. 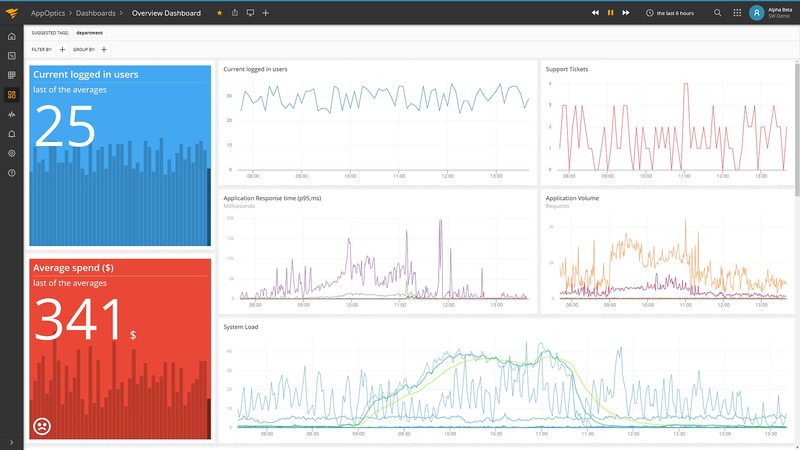 Enjoy unified dashboards, alerting, and management. 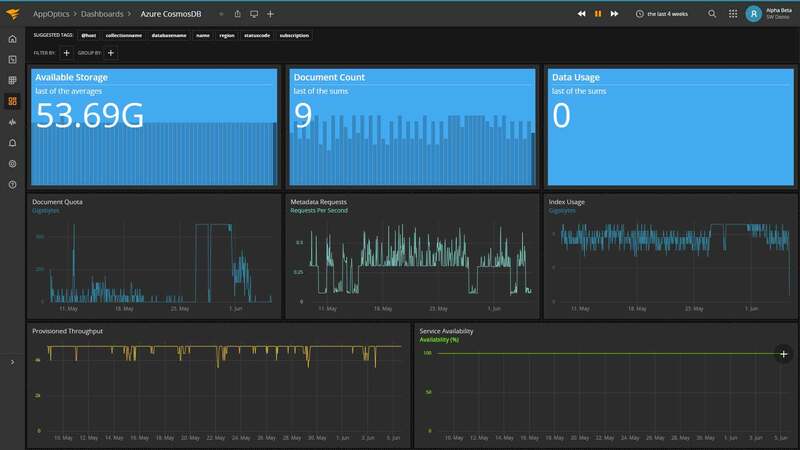 AppOptics is an extensible custom metrics and analytics platform that ties together your applications, infrastructure, and business metrics. Use multi-dimensional tags to easily filter and group data—dissect your cloud environments in real time to see only data that belongs to certain cloud regions, instance types, availability zones, etc.